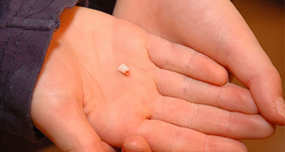 Weird Facts Tooth-Growing out of Foot Thirteen-year-old, Doug Pritchard had been suffering severe pain in his left foot for several weeks. When the pain became too much, he told his father who took him to see a doctor. The doctor discovered that a tooth had grown in his foot. The doctor explained this was because of a gene reproducing in the wrong spot. He also said similar cases of teeth growing in parts of the body other than the mouth have been reported but are very rare. The tooth was removed from Doug's foot. 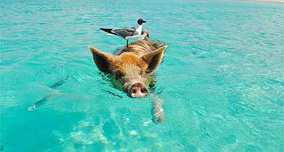 Pig Beach: Island in Bahamas Inhabited by Swimming Pigs Pig Beach is an uninhabited island located in Exuma, the Bahamas. Uninhabited except for around 20 swimming feral pigs! There are many theories about how the pigs arrived on this beach. One theory is that the pigs were dropped off by a group of sailors who would return to cook the pigs. However, the sailors never returned, and the pigs lived on. Others speculate that the pigs were survivors of a shipwreck and managed to swim to shore while others simply think that the pigs were put there as a ploy to attract visitors. 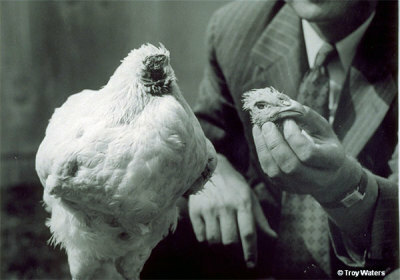 Mike, the Headless Chicken, Survived 18 Months After Having His Head Cut Off Mike was an ordinary chicken like most others, but that changed one fateful day in 1945 when he was due to be dinner for his owner. He became known as 'Mike the Headless Chicken' who amazed the world after surviving for nearly eighteen months after having his head cut off. This is one of those cases that captivates anyone who hears it. But let’s start from the very beginning, to tell truly the tale of Mike, the amazing headless chicken. Eating Lots of Carrots Will Turn You Orange You may have heard the saying "too many carrots will turn you orange" - and it turns out that it is possible. In fact, it's known in the medical community as carotenemia. It is caused by an influx of beta-carotene into the blood stream after eating beta-carotene-rich foods such as carrots, pumpkin, and most yellow/orange vegetables. Also, foods like Kale, kiwi, cabbage, have high levels of beta-carotene. Woman caught after one-year hiding in man's closet, secretly stealing his food n 2008. 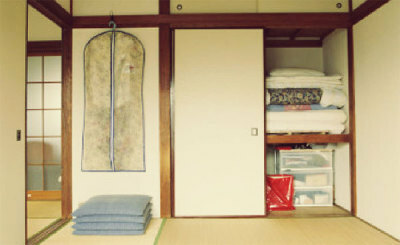 There was a bizarre case reported in Japan of a person who squatted in a man's closet, completely undetected, for over a year. Stealing his food, drinking his water, and presumably using his toilet, all while evading detection - it sounds like some ninja espionage. In reality, though, it was a homeless 58-year-old woman who afterwards claimed to have snuck into the man's house after she had nowhere else to go and found the door unlocked. 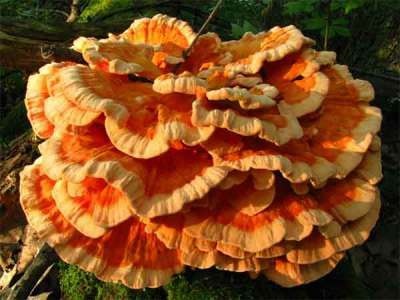 Mushroom That Tastes like Chicken Laetiporus is a genus of edible, bracket fungi that is commonly known as chicken of the woods, chicken mushroom, or chicken fungus. Why? Because it reportedly tastes like chicken. The mushroom can be found growing in wooded areas throughout the world, usually on living or dead oaks, but is also found on other trees such as yew, cherry wood, sweet chestnut, and willow. It is perfectly fine to eat and can be prepared in many ways like chicken, which it is also a good substitute for. In parts of North America and Germany, it is considered a delicacy.